Hungary denies the EU critics about the Republic of Moldova and doesn't support the attempt to stop funding our country. This declaration was made by Peter Szijjarto, the Minister of Foreign Affairs and Trade of Hungary within a meeting with Tudor Ulianovshci, the Moldovan Minister of Foreign Affairs. "I said that the EU unfairly criticizes the Republic of Moldova. This morning, I noticed a declaration that criticizes the election system of Moldova. We disagrees with the thing that the EU wants to stop funding Moldova", said Peter Szijjarto, the Hungary Minister of Foreign Affairs and Trade. 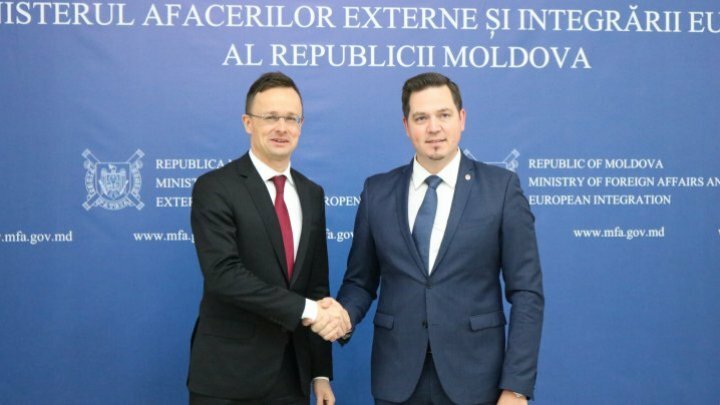 The Moldovan official, Tudor Ulianovschi highlighted that Hungary supports all the efforts of Republic of Moldova's Government to implement the Association Agreement. Budapest authorities offered an expertise in this sense.